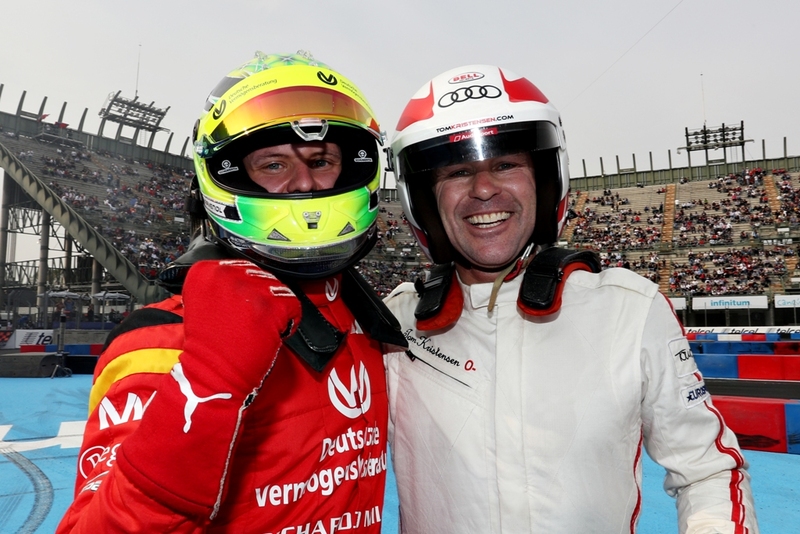 Tom Kristensen and Johan Kristoffersson of Team Nordic are celebrating after they took a stunning victory in the ROC Nations Cup at Mexico City’s Foro Sol. On a sunny afternoon in the Mexican capital, legends from many of the world’s biggest motorsport series teamed up in pairs to battle for national and regional pride. They raced a mix of cars – including the VUHL 05 ROC Edition 2019, Ariel Atom Cup, Stadium Super Truck, RX Supercar Lite, Speed SXS UTV, KTM X-Bow and ROC Car – on a purpose-built pursuit track. In the first heat, Kristensen beat off the challenge of four-time F1 world champion Sebastian Vettel by two races to one. This year’s FIA Formula 3 European Champion Mick Schumacher struck back in style for Team Germany by beating Kristoffersson 2-0 in the second heat. 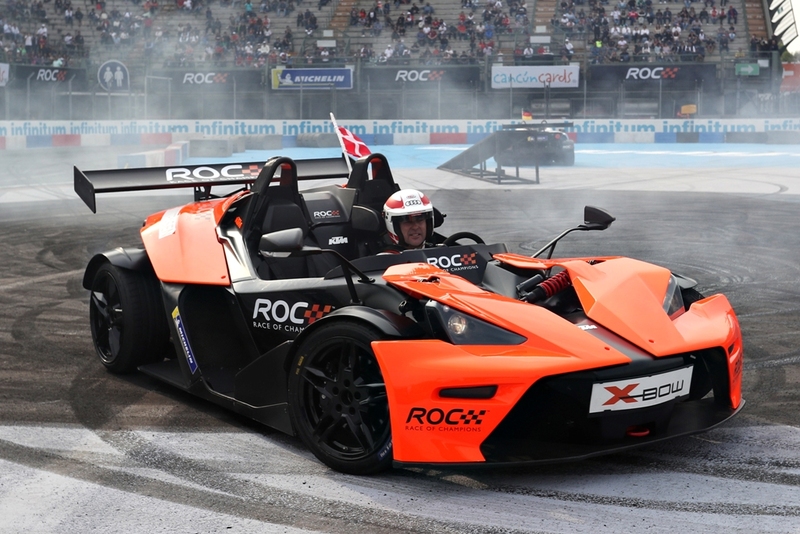 But Kristensen, competing in a record-equalling 15th Race Of Champions, was just too strong in the decider, taking the ROC Nations Cup trophy for Team Nordic. “This was a great experience, and it was special to share it with Sebastian. He’s done an awesome job and without him, we wouldn’t have made it into the final. So we’re happy to have had a good run in the ROC Nations Cup. We did well – not quite enough to get the win, but second place is not too bad. They were finally defeated by Team Nordic. Team Brazil (Helio Castroneves and Lucas di Grassi) also made it as far as the semi-final before they were beaten in straight heats by Team Germany. The afternoon’s action began with the 10 teams split into three round-robin groups. On a day of match-ups between huge stars of world motorsport, many superstars fell by the wayside at this early stage. Sim Racing All Stars (eROC World Final winners Enzo Bonito and James Baldwin) each took a win but went out. 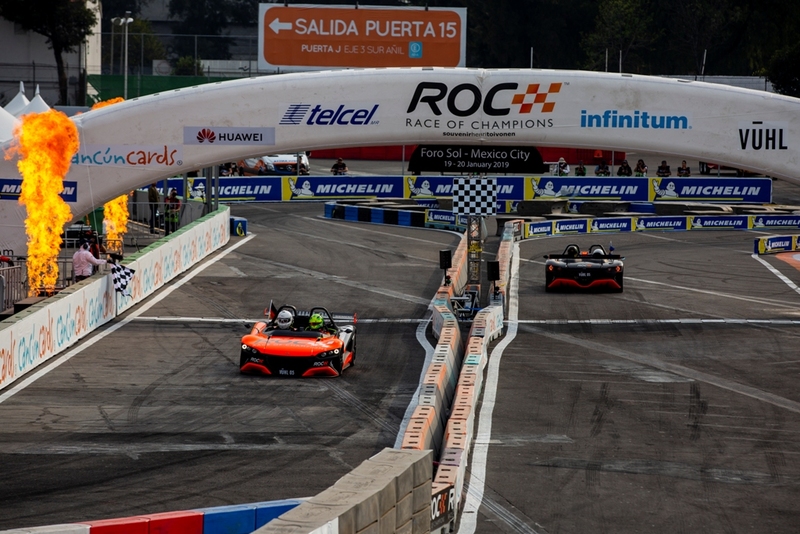 Team Telcel Mexico (NASCAR ace Daniel Suarez and ROC Mexico kart race winner Ruben Garcia Jr) also departed at this stage with a single win between them. Nordic’s Group C triumph with three wins also resulted in some of motorsport’s biggest names leaving the competition. Team Great Britain (David Coulthard and Andy Priaulx) ended up on two wins while Team USA’s pair of IndyCar champions Ryan Hunter-Reay and Josef Newgarden finished with a single victory. 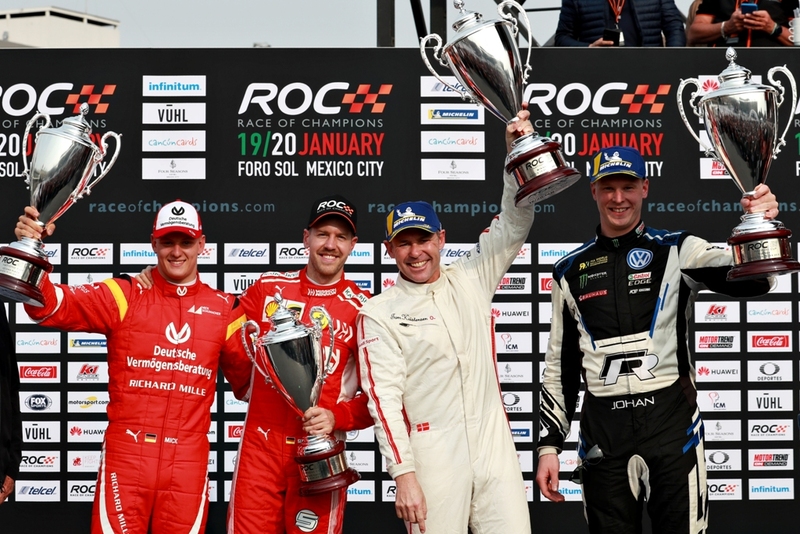 Mexico hit back through Garcia Jr and Suárez, but ROC Nations Cup finalists Kristoffersson and Schumacher sealed the victory before the world team went on a lap of honour of the Foro Sol stadium. Earlier in the day, James Baldwin came out on top in the eROC World Final between some of the world’s fastest gamers. The action took place both in real-life ROC Cars on the Riyadh track and in the virtual world of Assetto Corsa. 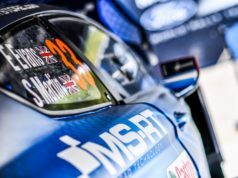 The Briton saw off the challenge of fellow countryman Brendon Leigh in an enthralling final to win his place on the ROC Nations Cup grid. Sebastian Job and Nils Naujoks also performed well but retired in the group stages. Before Saturday’s action, the drivers took part in the ROC Skills Challenge, a special course set up near the Foro Sol track featuring chicanes, slaloms, 360° turns and parallel parking. 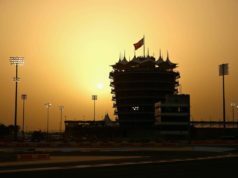 There was an early triumph for Vettel, whose time of 42.72s edged Kristoffersson into second place by little over a tenth of a second.